Who here is a book reader? Who here loves the self-help books? I'll admit when I first picked up a self-help, I thought "oh, wow. Now I am officially old." But it isn't like that. I believe that people have so much going on that we constantly forget what it is that we are truly wanting out of life. I believe that is how our self help books come into play. Recently I have been able to read a phenomenal book! I don't know if you have ever heard of Dave Braun or Troy Amdahl but you should. 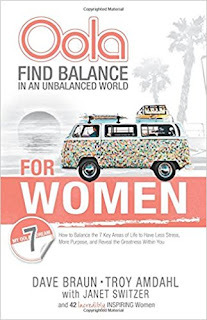 The are the men behind the Oola Lifestyle and I was able to read their newest book Oola for Women: How to Balance the 7 Key Areas of Life to Have Less Stress, More Purpose, and Reveal the Greatness Within You. Disclaimer: I received this book as payment for this review. This did not however affect my thoughts on the book nor did it sway me in anyway. The thoughts and opinions on this book are strictly my own! The first time I even noticed anything about Oola was honestly from Young Living and their line of oils inspired by Oola ! After reading about those particular oils, I also started going to their website and reading more into this Oola Lifestyle. If you are wanting more out of life, more out of your career whatever you need to read some of their amazing books. They have lit a flame underneath me I didn't even know existed. The books themselves are easy to read and include actual true stories from real women. It is fantastic to read these women's stories with lives that have been changed. 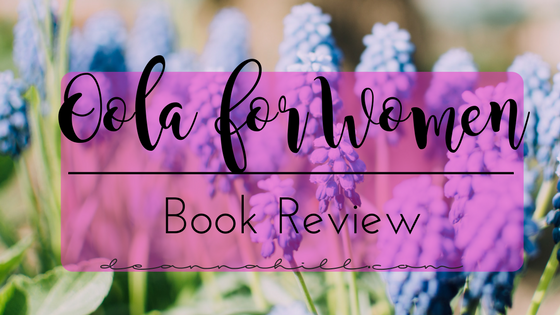 It was a quick read and truly only took a week or so to read (given I might have had a few late binders with it because I honestly could not put it down!). 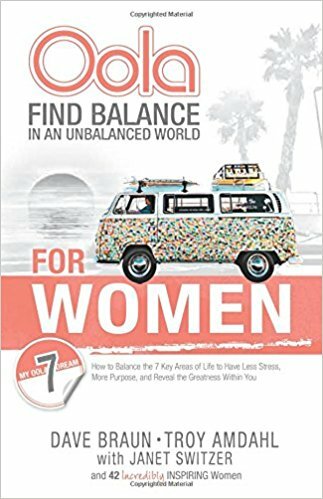 It breaks down the 7 F's that you need to help you lead a balanced life. Faith, Family, Field (career), Financial, Fun, Fitness, Friends are the 7 F's and each one truly speaks right to the soul. Not only does it address them, but it also addresses blockers. Blockers keep you from obtaining those dreams of yours and include: Fear, Guilt, Anger, Self-Sabotage, Laziness, Envy and Lack of Focus. And if you thought we were done there, you are 100% wrong. It also goes through seven accelerators or things that help obtain those goals which are: Gratitude, Love, Disciple, Integrity, Passion, Humility, and Wisdom. These books are packed full of so much fun stuff. It even shows the Oola Wheel, Oola Plan, and Oola Path to get you to exactly where you WANT to be in life. ON their website they have an amazing little quiz you can take to see where you are in your own life and where you might need to focus. Click here to take the Oolawheel Test. I really recommend taking this test, grabbing these books and taking complete control of your life! You can get this book at these links. It is released on May 2nd. Have you ever read any of the Oola Life books? What self encouragement books do you recommend?